So-called dark factories—otherwise known as “lights out” or “automatic” factories—are manufacturing facilities that do not depend on human labor to get work done. While they may have some benefits for the environment they are certainly not beneficial overall considering the impact widespread adoption would have on needed jobs. Without human line workers, such factories can operate without lights, heating and cooling and other “amenities” required by human workers. Of course, very few such facilities are completely automated, as human workers are usually required to set up equipment or remove completed parts. And some run “lights-out” between human labor shifts or as separate shifts to meet increasing demand or save money. And while the up-front costs of setting up automated work routines manned by robots and other machines may be higher than setting up a traditional factory, on-going expenses can be significantly less given the lack of human payroll and other human-centric outlays. The first dark factories started appearing in Japan in the 1980s as companies there started to take advantage of improvements in the technology of robotics and automation to get around the high costs of human labor. At that time, business analysts predicted then that as technology improved and qualified workers became harder to find and more expensive to support, dark factories would become more prevalent around the world. But in the interim the spread of manufacturing to developing nations with cheap human labor may have temporarily forestalled the rise of dark factories. Also, General Motors’ unsuccessful implementation of automated manufacturing in the 1980s—quality declined and sales fell accordingly—soured many big companies on the concept back then. That said, there are many thriving examples of dark factories around the world. Many machine shops in the U.S.run “unattended” all or part of the time. Robots are commonplace now in the auto industry despite GM’s faltering early on. Amazon.com makes extensive use of robotic systems in its distribution centers and last year even acquired the company behind the technology, Kiva Systems, for $775 million in cash. 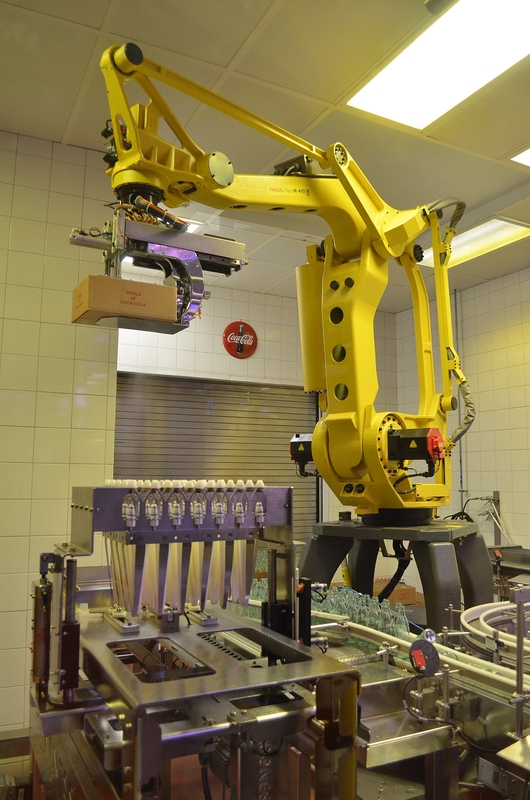 In Japan, FANUC Robotics operates a lights-out factory employing robots to make other robots. Japanese camera giant Canon recently announced that it is phasing out human workers at several camera factories by 2015. And in the Netherlands, Philips produces electric razors in a facility with 128 robots and nine human quality assurance workers. NextThe Most Important Climate Change Question: How Will Investors React?